Welcome to another DIY gift! 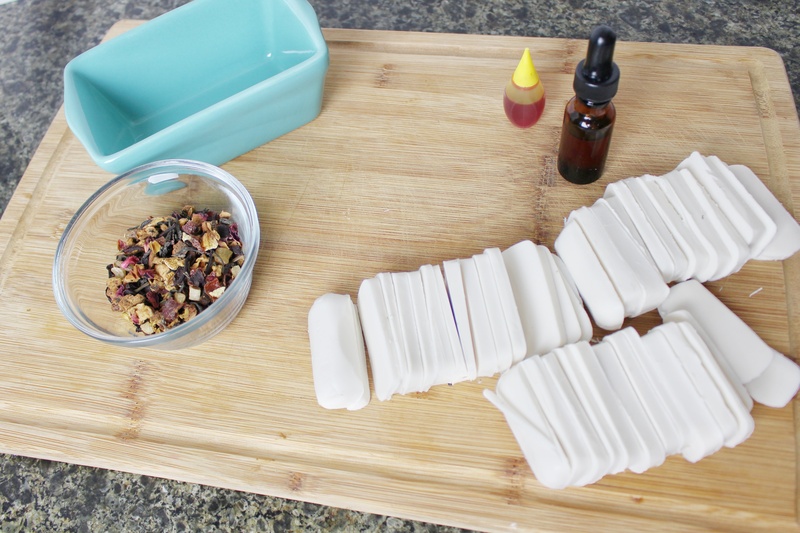 This is a method for making your own soap right in your kitchen. 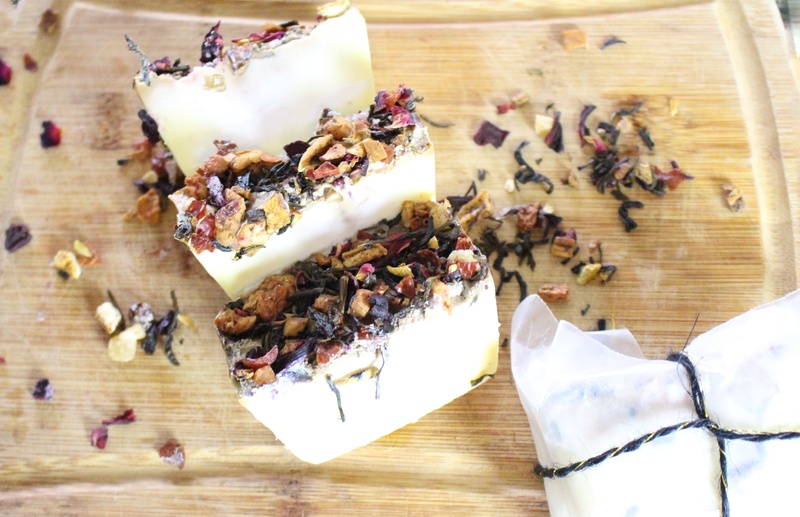 Homemade soap is an excellent gift or addition to your own home. 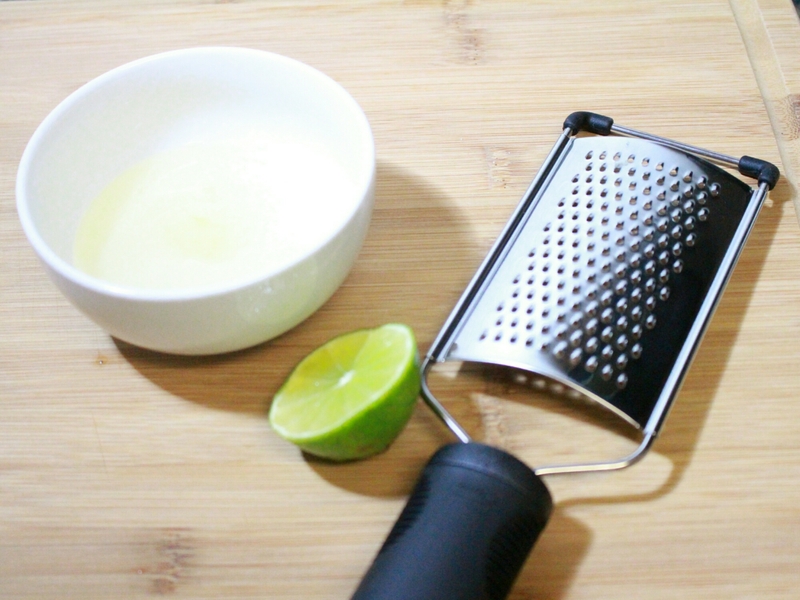 There are two major methods of making soap. The first and more traditional method is cold process. 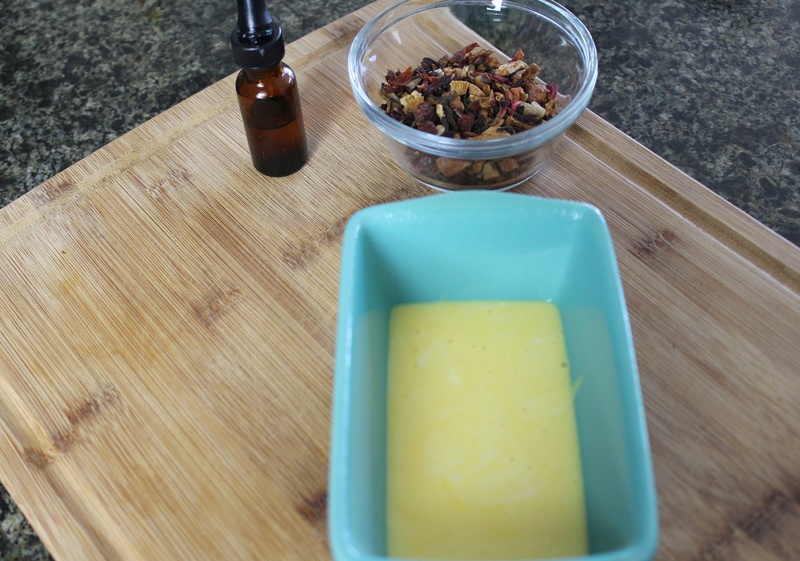 This method uses lye and requires a curing process. It requires a bit more skill and is not ideal for children. 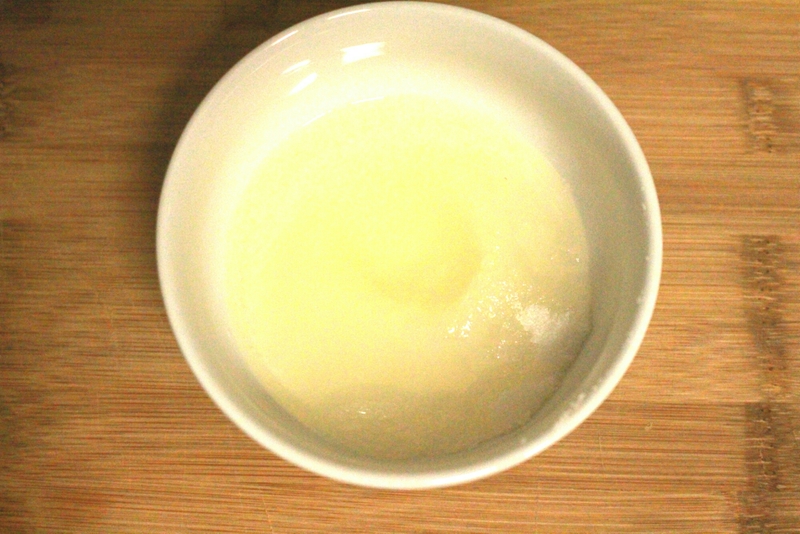 The second method is melt and pour. The name is self explanatory. 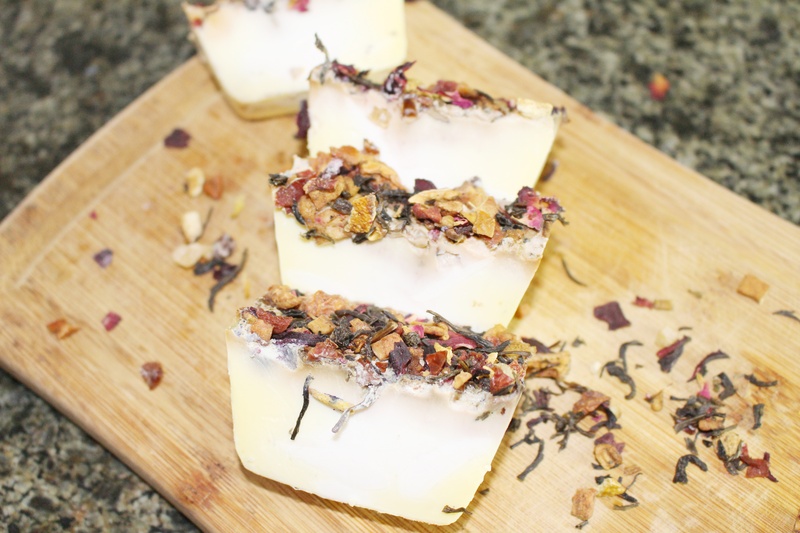 You use a soap base and melt it then pour it into a mold. 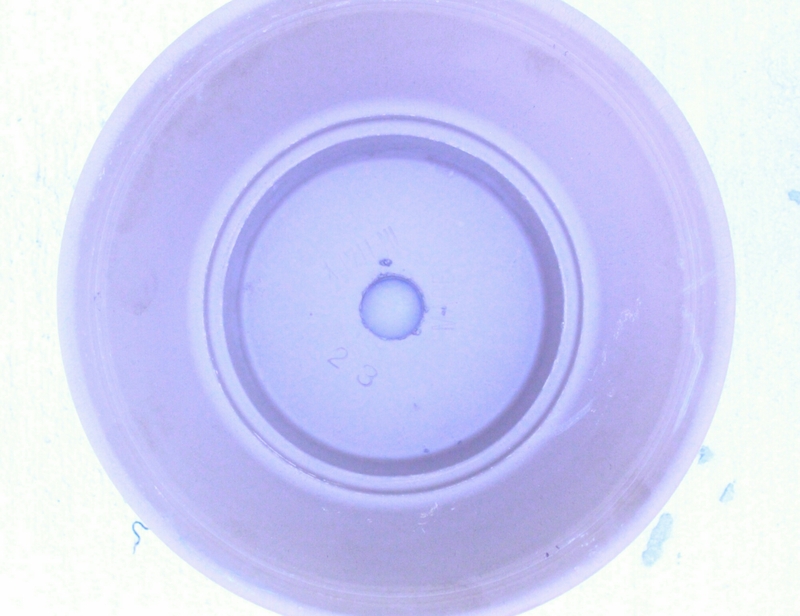 You can purchase soap base from craft stores in either white or clear. 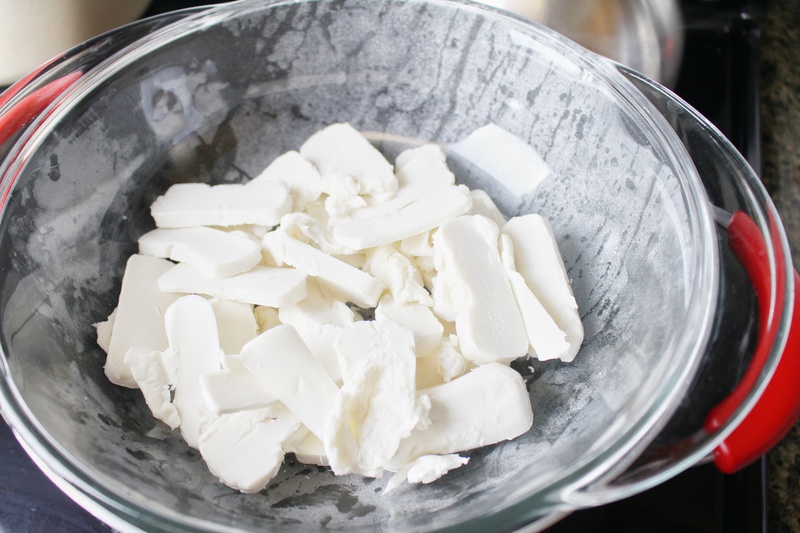 Alternately you can purchase ready made bars of soap and melt it down. 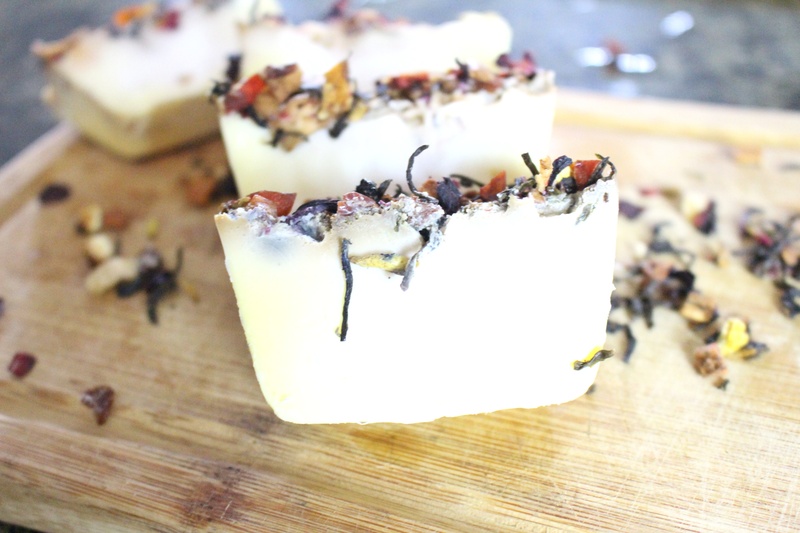 In this post I use already made soap bars as I was unable to get soap base and it worked fine. 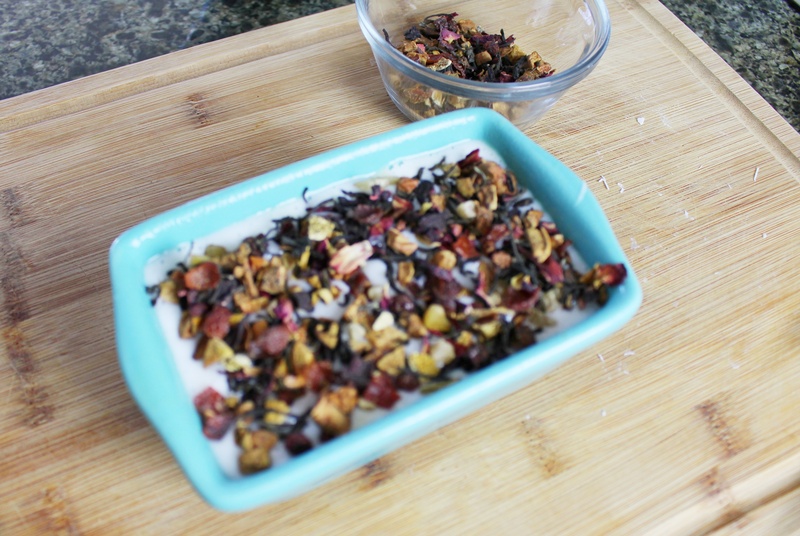 Add-ins- I used loose leaf tea. 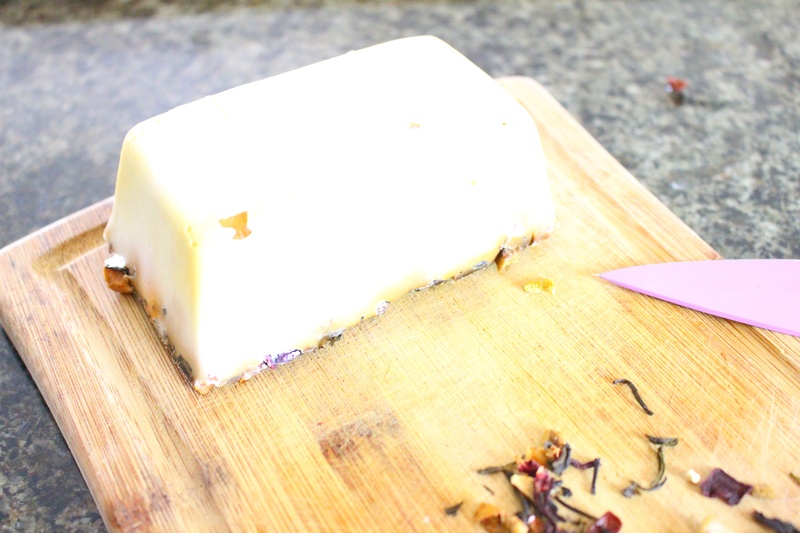 You can use soap add ins or other herbs, dried flowers etc. Place shredded soap into a heat safe bowl and place that on top of the boiling water. 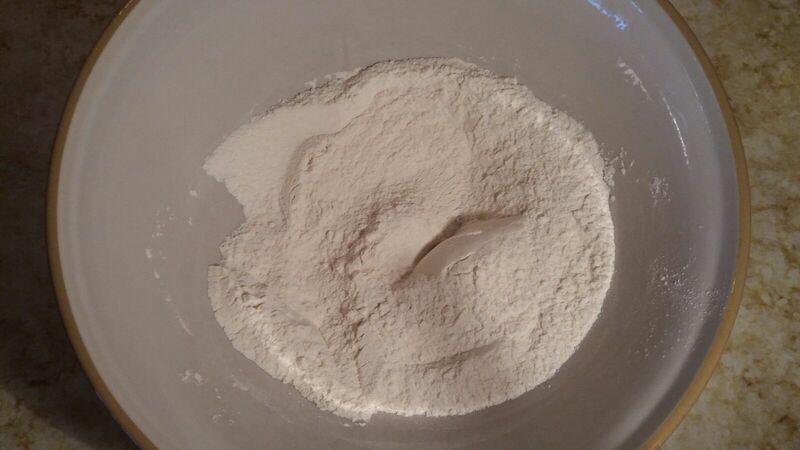 Add water as needed to mixture until it becomes thick and smooth. Add scent and any colouring desired. Spray mold with cooking spray to make removal easier. 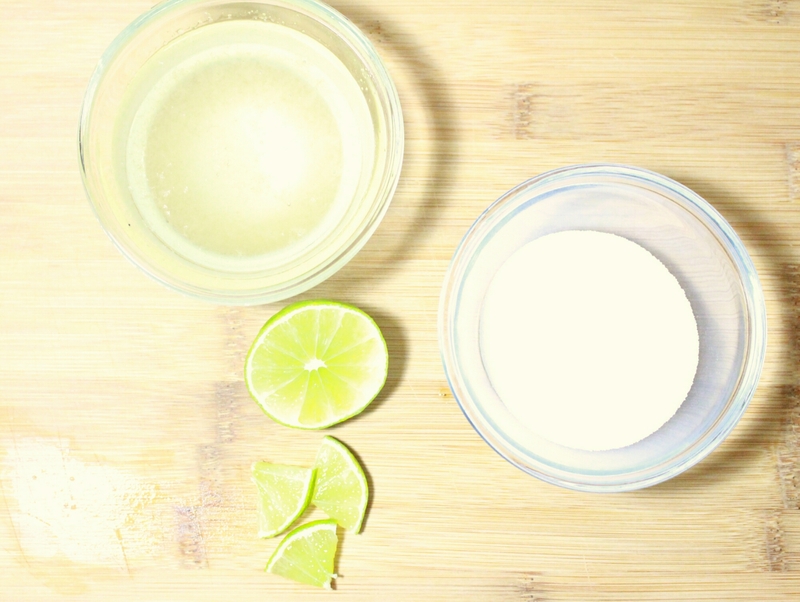 Spray the top of the soap mixture with rubbing alcohol to get rid of the bubbles. 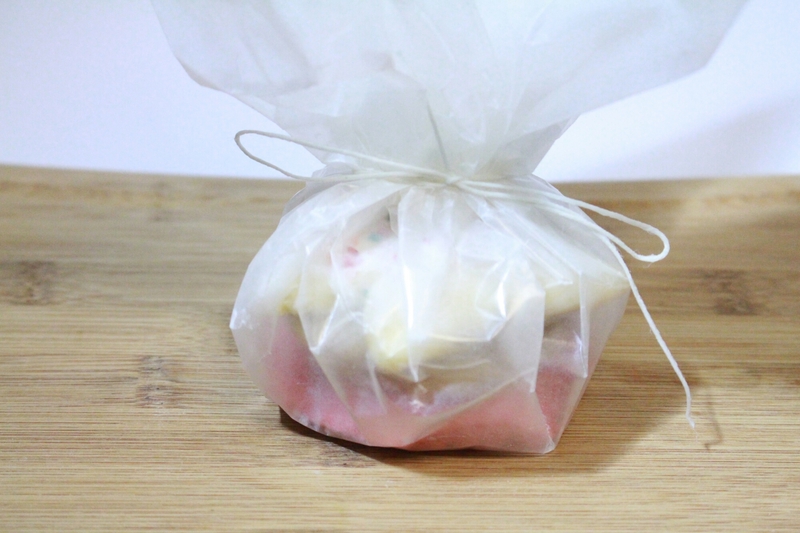 Place into refrigerator or a cool dry place and allow the soap to dry out. 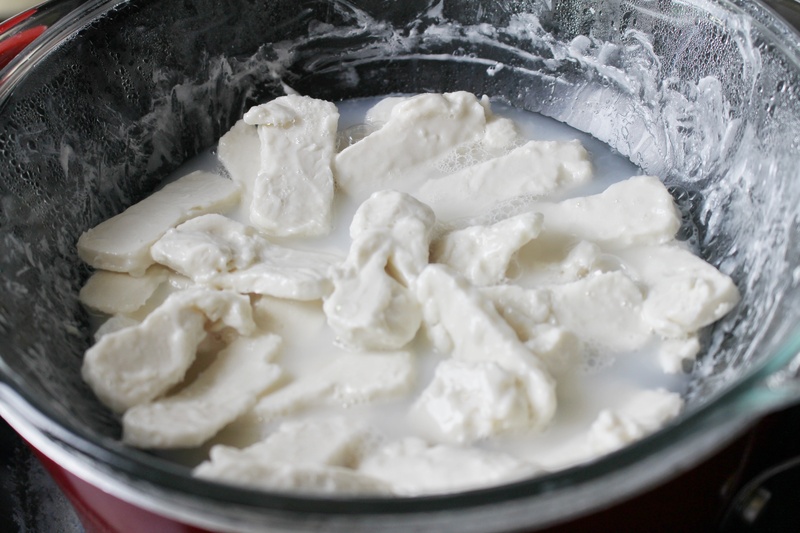 Note that the more water you add in the melting process the longer it will take to dry. 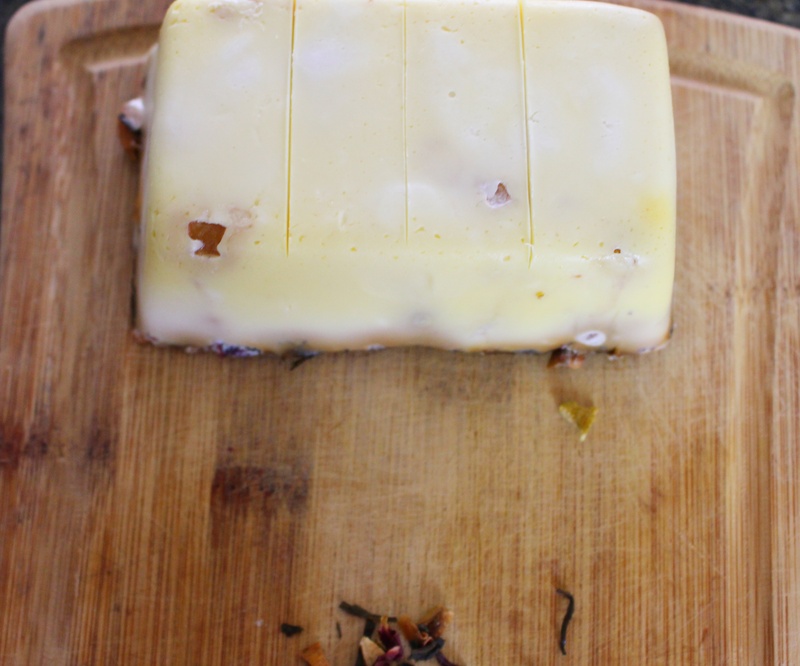 Remove soap carefully from mold. 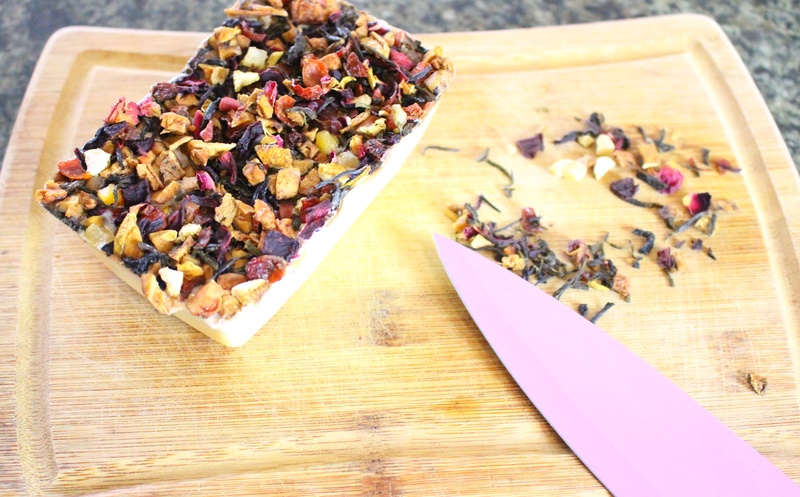 Lightly score the soap to decide where to cut. 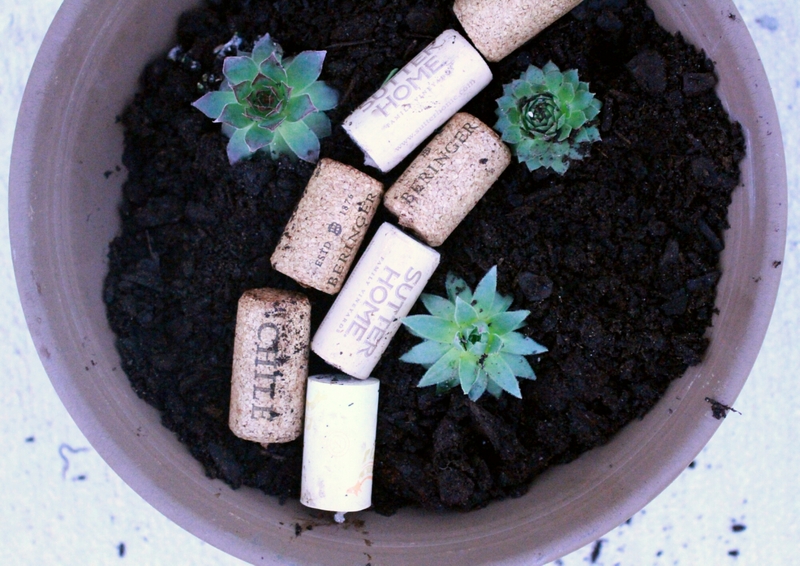 This is an awesome DIY gift, the type of thing your friends will want to receive. Try it out and have an awesome day! Hello and Merry Christmas to all who celebrate it and Happy Holidays to everyone. 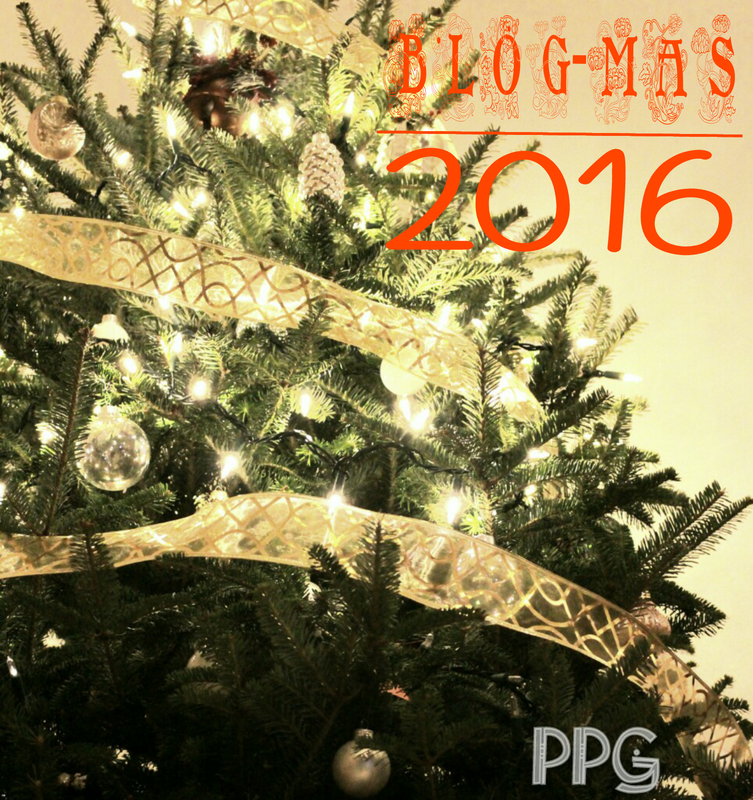 Back in November when I was meticulously planning each and every Blogmas post, I asked my sister to do a guest post on something sweet and easy to make. I told her what daybI was thinking of putting it up and told her to get back to me. Well she did. Yesterday. But I digress. Better late than never. Since this is Kristine’s post I will present it the way she did. 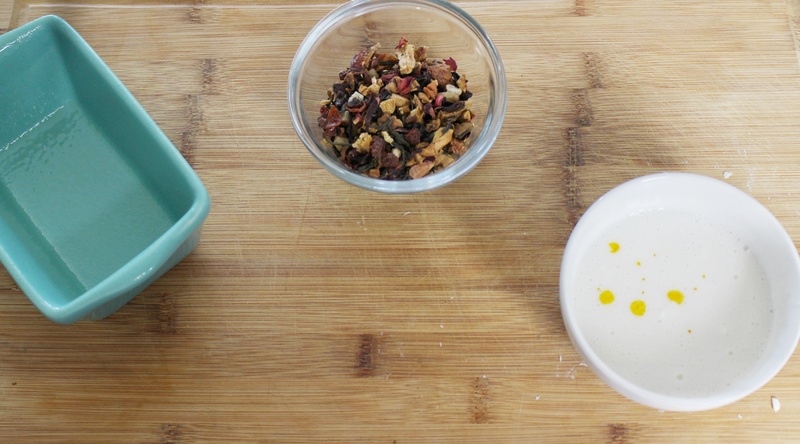 She left out the candied fruit and the almonds listed in the original recipe. Preheat oven to 400F (200C) and butter or line a baking sheet with parchment paper. 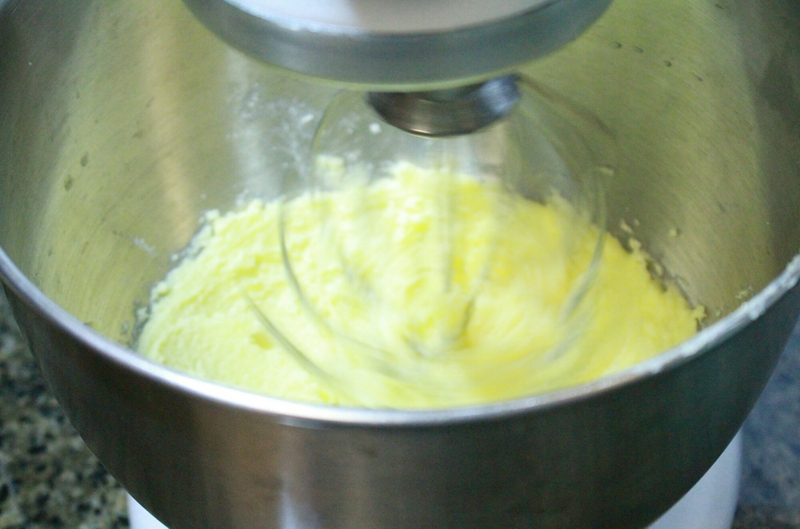 Whisk dry ingredients then cut butter in. 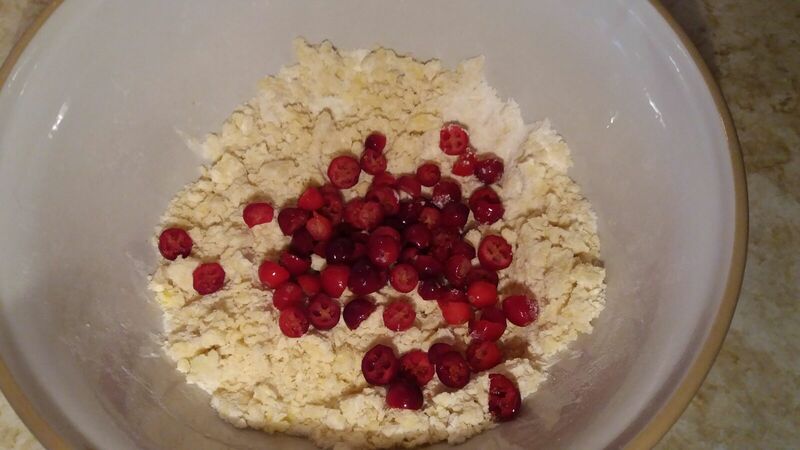 Use a pastey blender of you have one if not use forks or knives creating course crumbs. 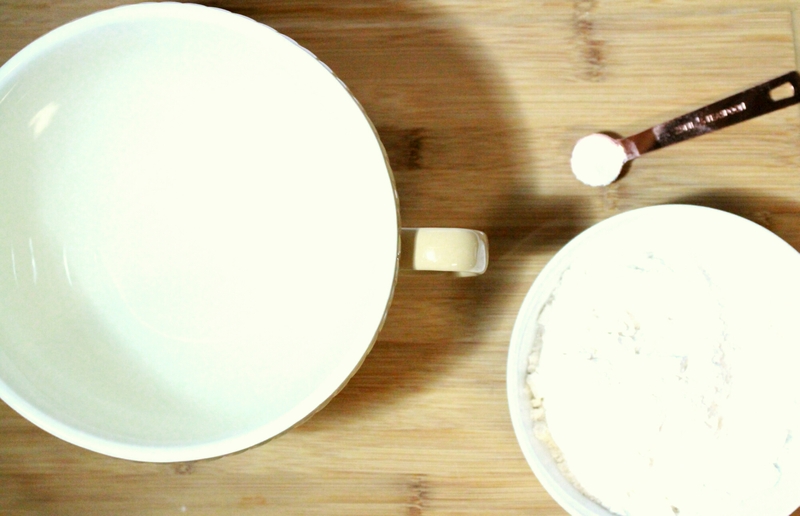 On a floured surface knead dough four times then form a circle about 7 inches (18 cm) in diameter. 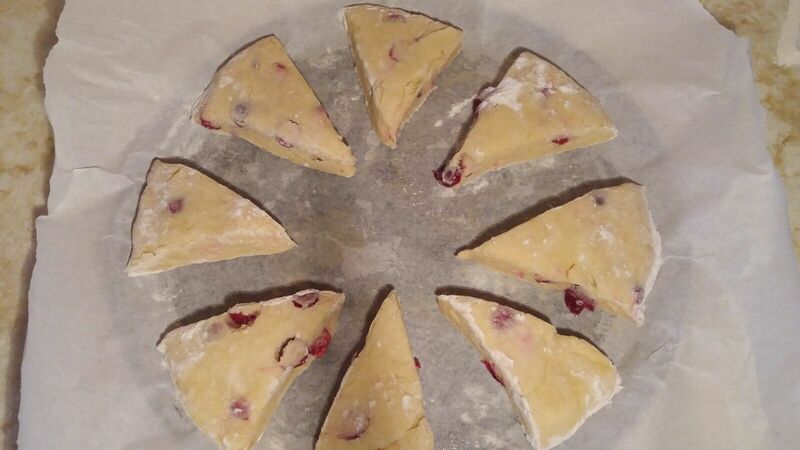 Cut it into 8 triangles and brush top with milk. Bake for 20 minutes or until crust is brown. My sister gave these to some of her cowokers for Christmas. They make great gifts or a light dessert to have with coffee after all the heavy Christmas dinner. Enjoy and have an awesome day! 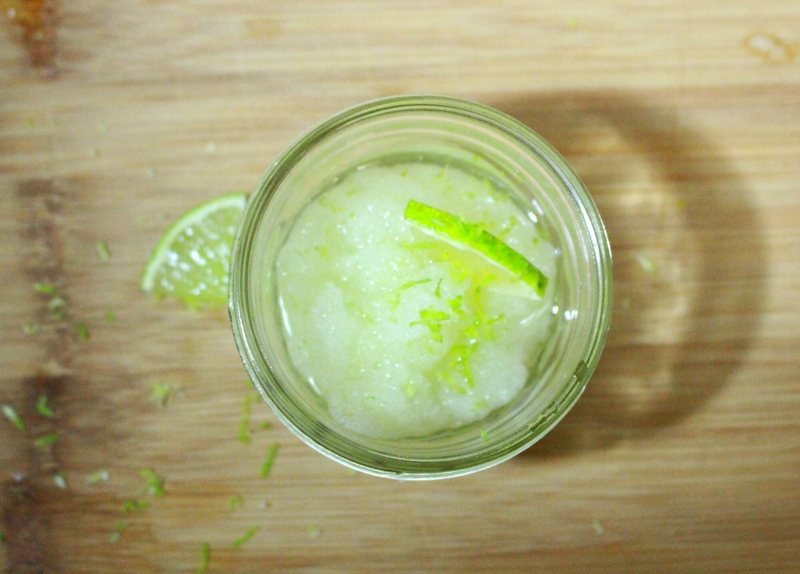 Welcome to day 10 and the 3rd edible DIY. 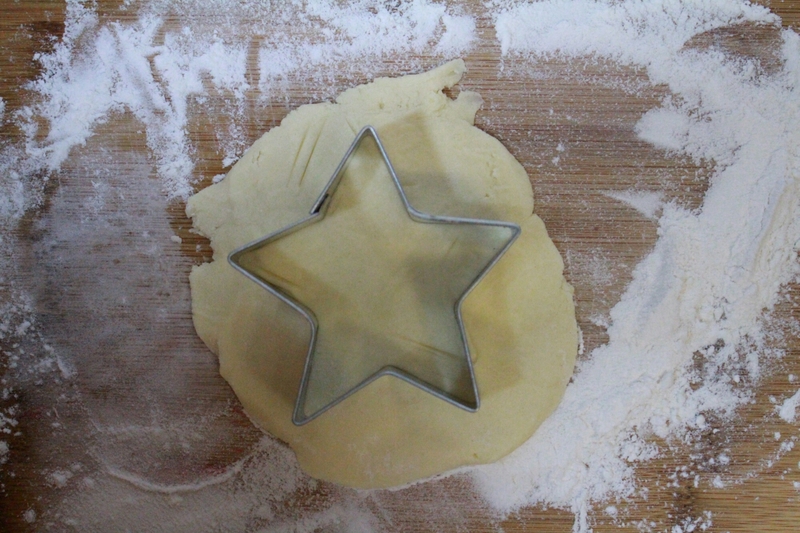 Today I will share 5 Christmas cookie recipes…sort of. 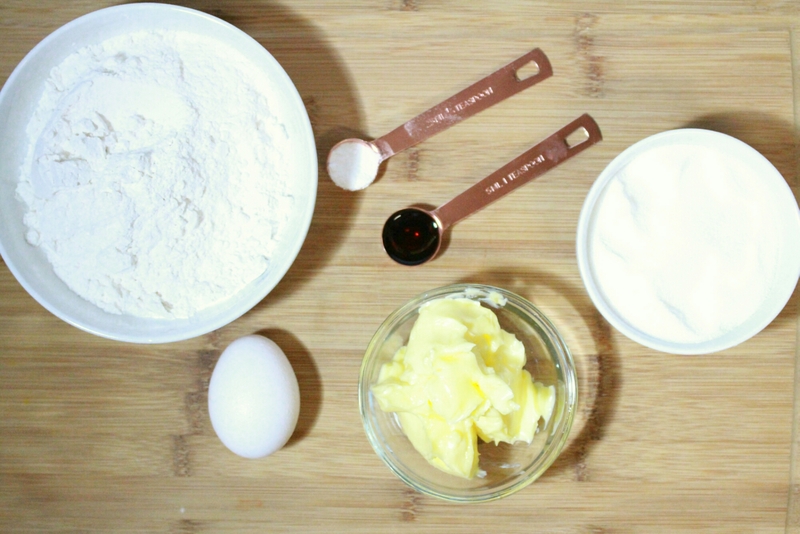 What if I told you that you could make as many types of cookie as you want with just one base recipe? Ca-razy right? Not only crazy but totally possible . 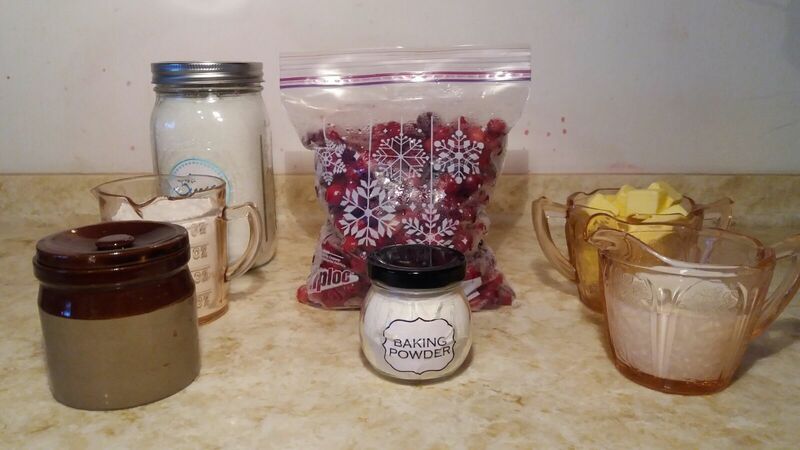 From a simple sugar cookie recipe I will demonstrate how to make: Chocolate , Red Velvet, Peanut Butter, Apple Spice and of course a regular sugar cookie. 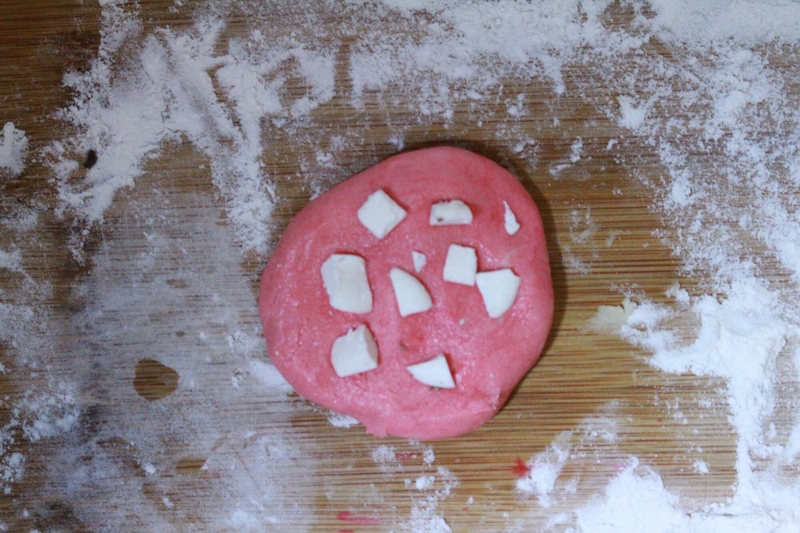 So you need to begin with a good sugar cookie recipe and make up as many baches as you require. I used a recipe from Joy of Baking which I have linked. 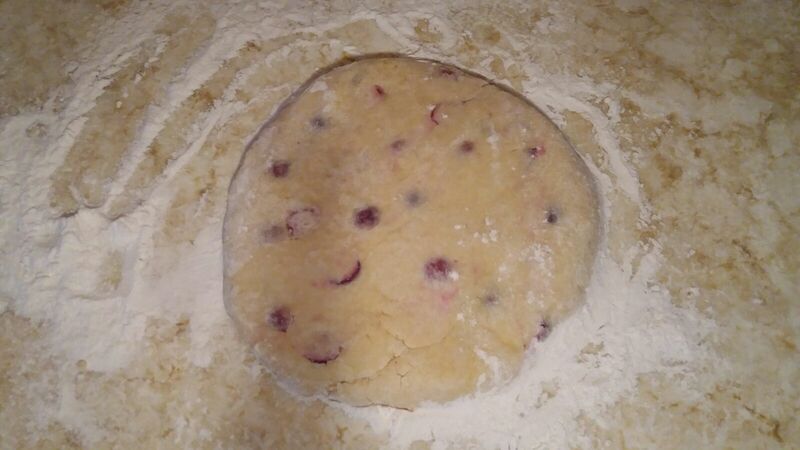 I will still briefly go through the process of making the batter but hers is far more in depth, so check it out.Her recipe makes approx 20, 4 inch (10cm) diameter cookies. 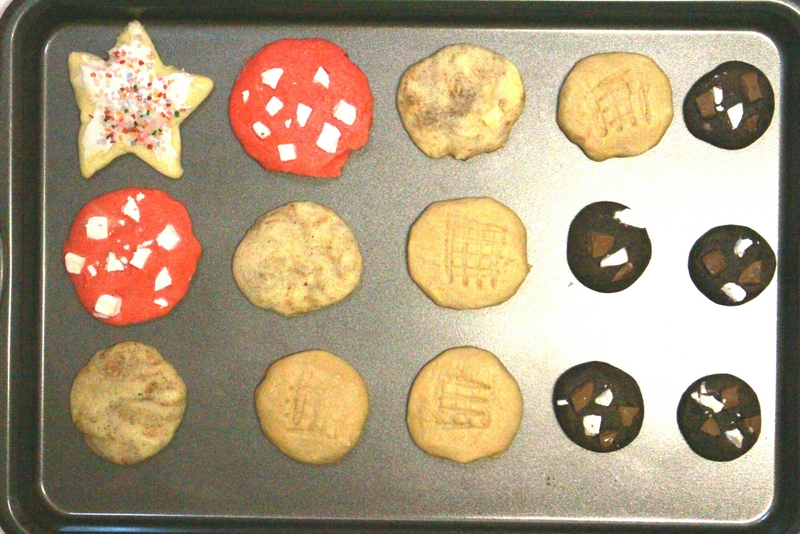 I made up one batch which I divided into 5 parts. 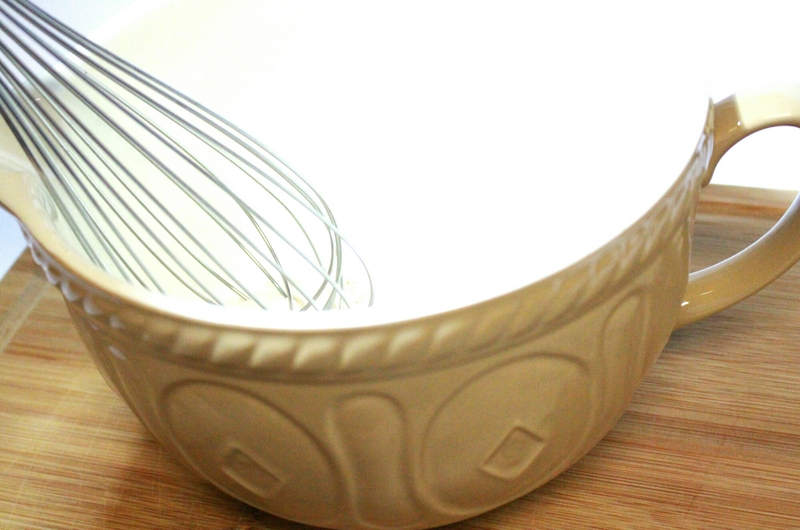 1) Combine and whisk dry ingredients in a bowl. 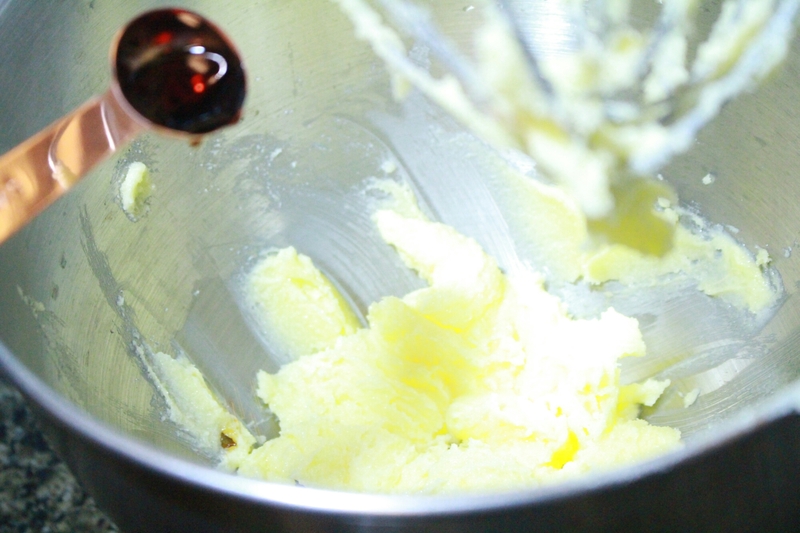 2) Beat sugar and butter together then add egg and beat until smooth, adding vanilla extract. 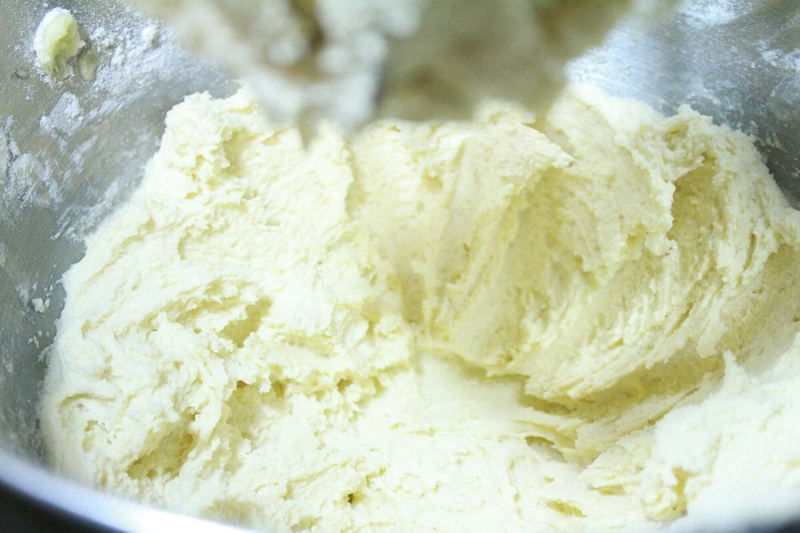 Place the batter in plastic wrap and refrigerate for at least one hour. 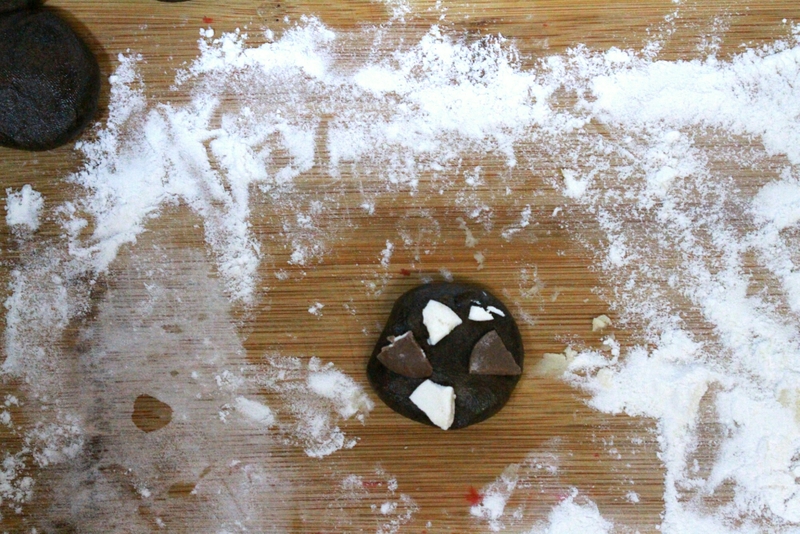 This part is very important for cookies! Remember this is for 1 batch divided into 5, however the amount of flavourings you add is subjective depending on your preference. 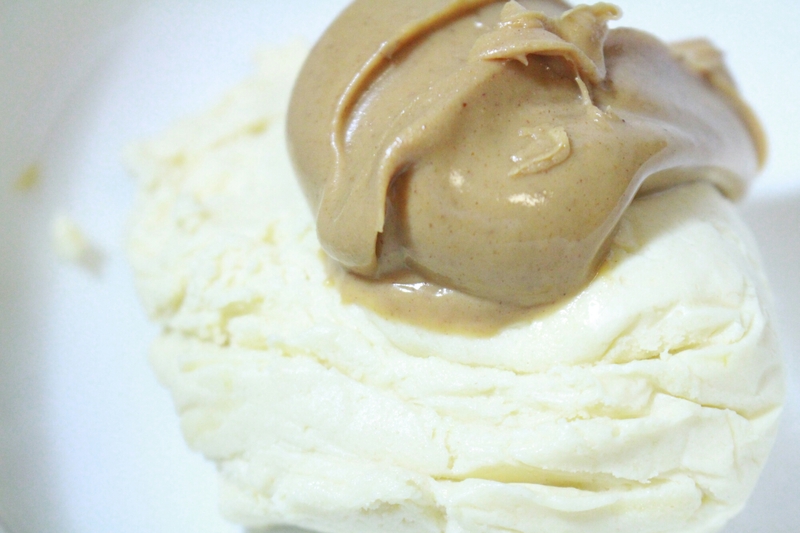 1) 1 tbsp of smooth peanut butter- This gives a moderate peanut flavour, you can add more or less to suit you. 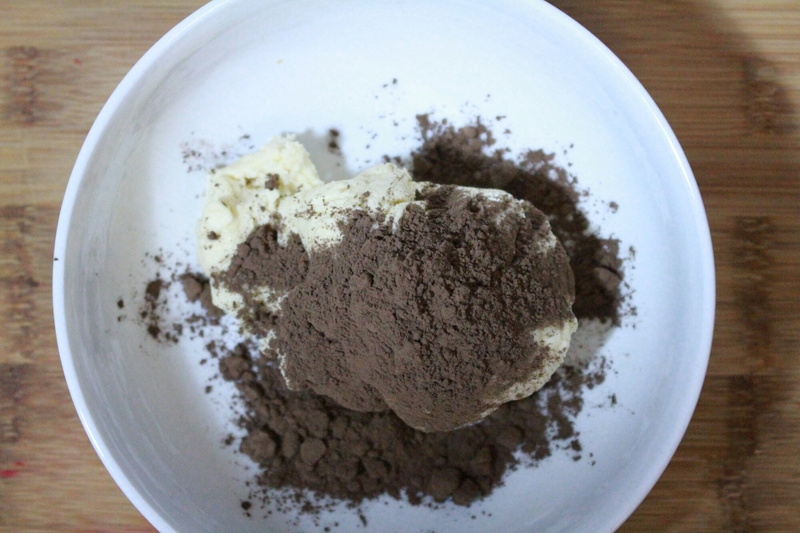 1) 1tbsp Cocoa powder- This makes it very chocolatey, if you prefer a milder chocolate flavour use less. 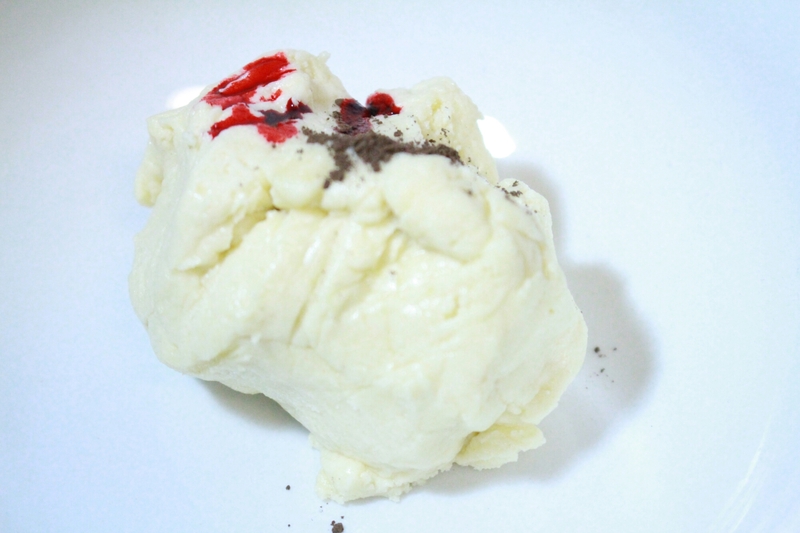 2) 1/4 cup chocolate chip morsels/ candy melts- I used both milk chocolate and white chocolate . 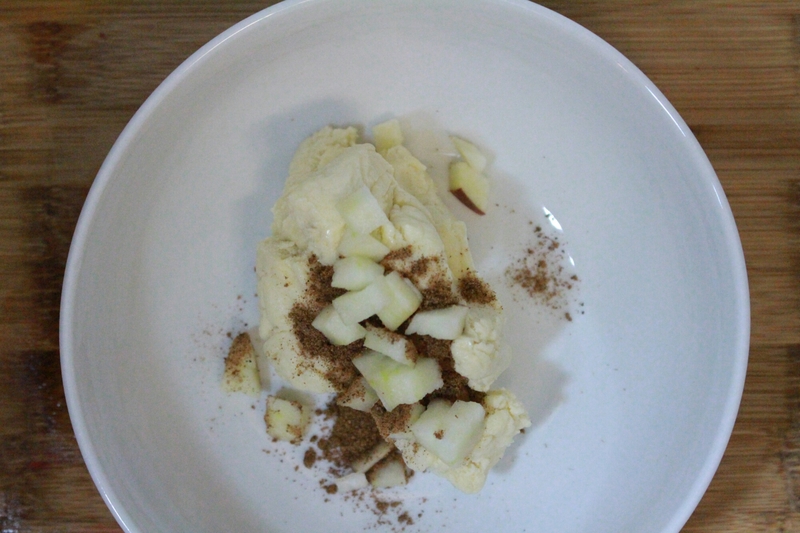 1) 1/4 cup diced apple – I used a gala apple. 2) 1/2 tsp spices- I used cinnamon and nutmeg . 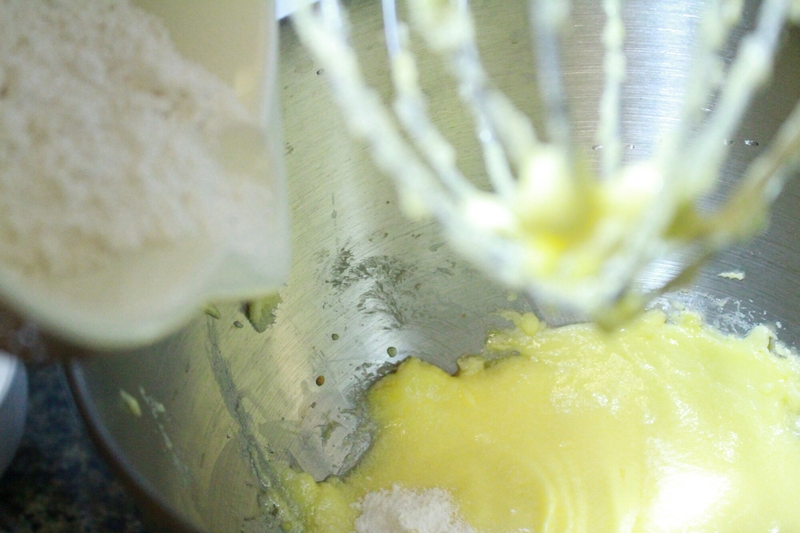 1) Mix in the peanut butter until batter is homogeneous in colour. 2) Replace in refrigerator for approximately 15 minutes to firm up again. 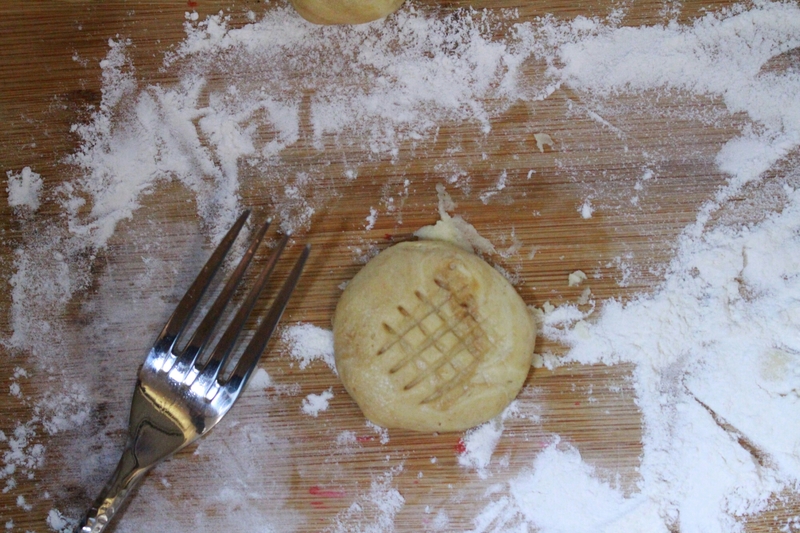 3) Portion into circular cookies in the size you wish (remember cookies always spread) and create the iconic peanut butter cookie crisscross with a fork. 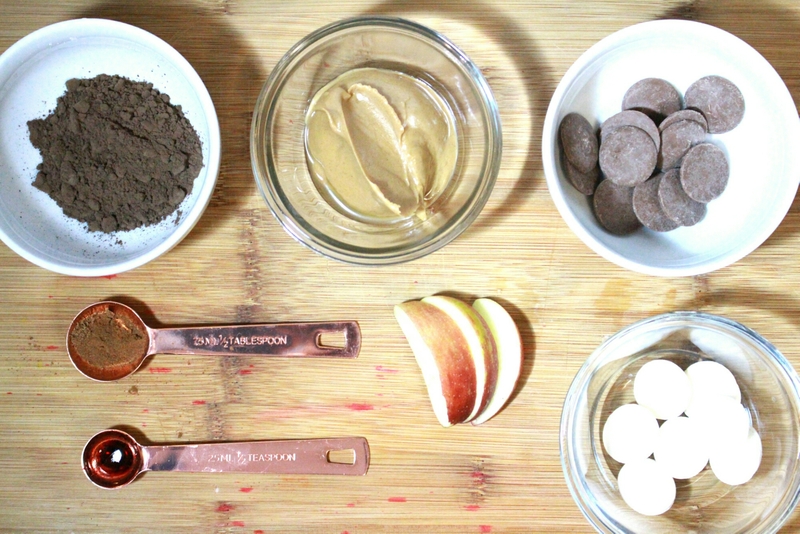 1) Mix in cocoa powder until fully blended. 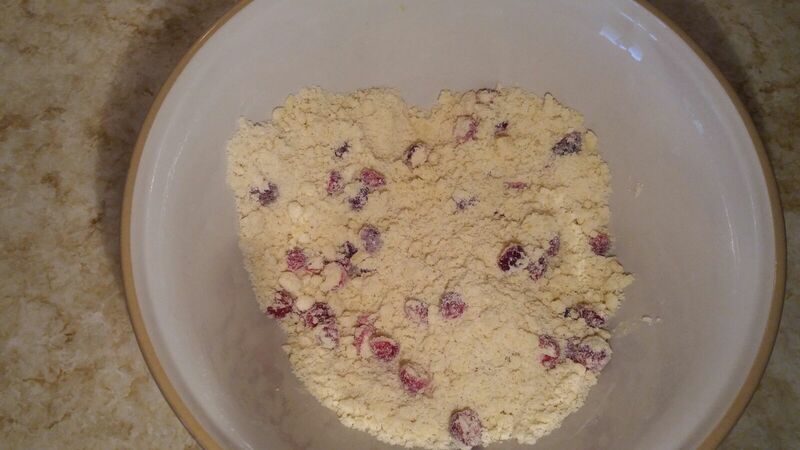 2) Form you cookies then add the chocolate chips on top. 1) Add cocoa and food dye and completely mix in. 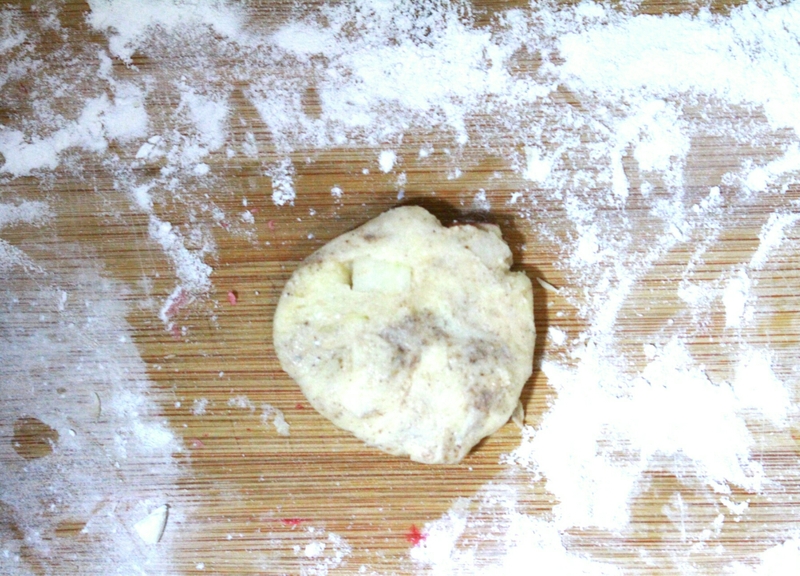 Bake at 350 f (175C) for 10 minutes or until edges start to brown. 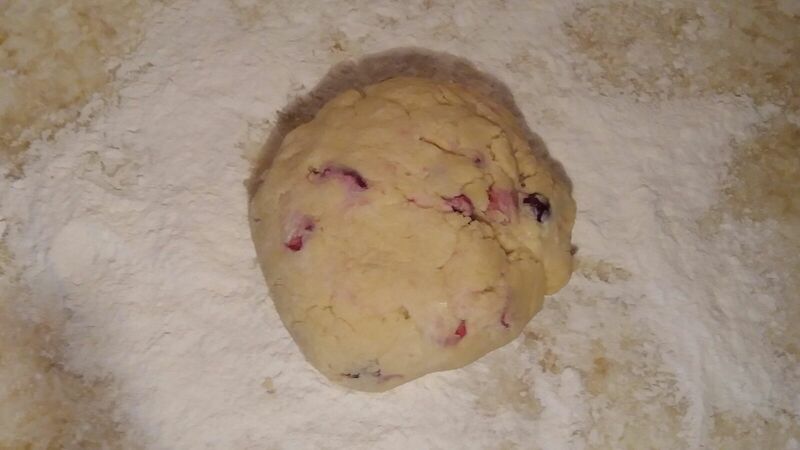 Remember, cookies like most baked goods continue to cook for a bit after coming out of the oven so the cookies may seem a bit soft at first but they will harden. 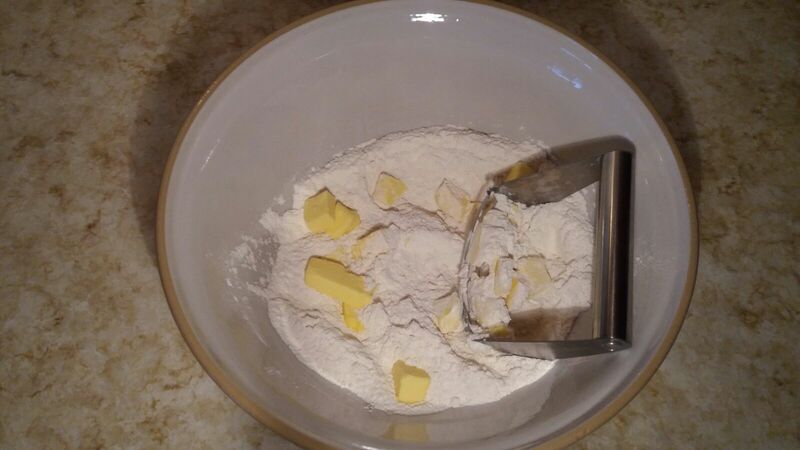 When I think of sugar cookies I think of Christmas time, the super sweet vanilla smell makes you feel warm inside. 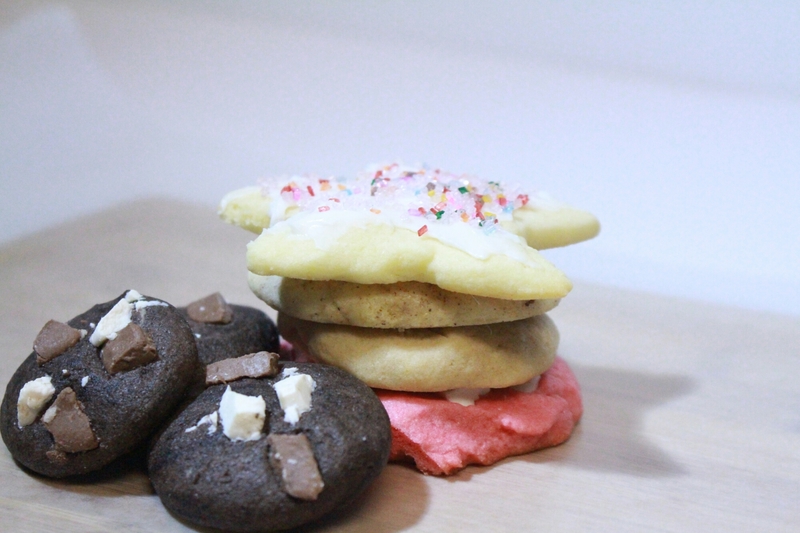 If you’re wondering how all these flavours work with a sugar cookie, the answer is they work beautifully. 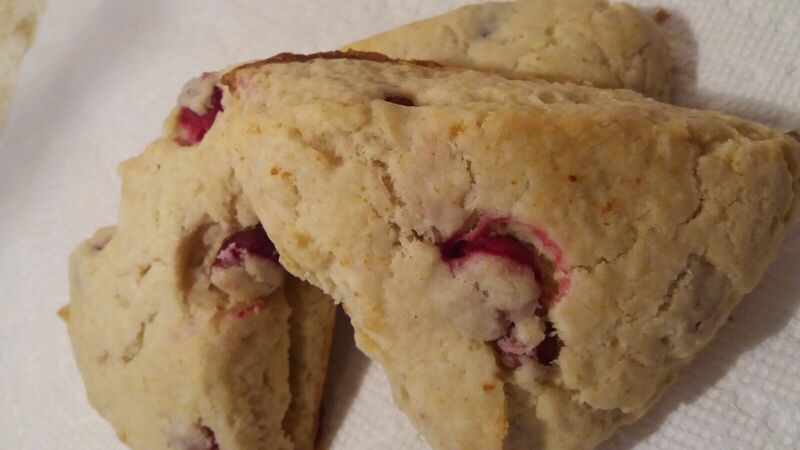 The background flavour and texture of a sugar cookie lends to sweetness and provides a light cookie with a good crunch but does not in anyway take away from the added flavours. These make great gifts, my sister gave everyone sugar cookies about six years ago and it was fantastic.If you are thinking of doing this as with most DIYS I recommend making large amounts to cut down on overall cost. You can package off a few (like pictured here) and use them as stocking stuffers or fill up a tin or jar and give as a gift. 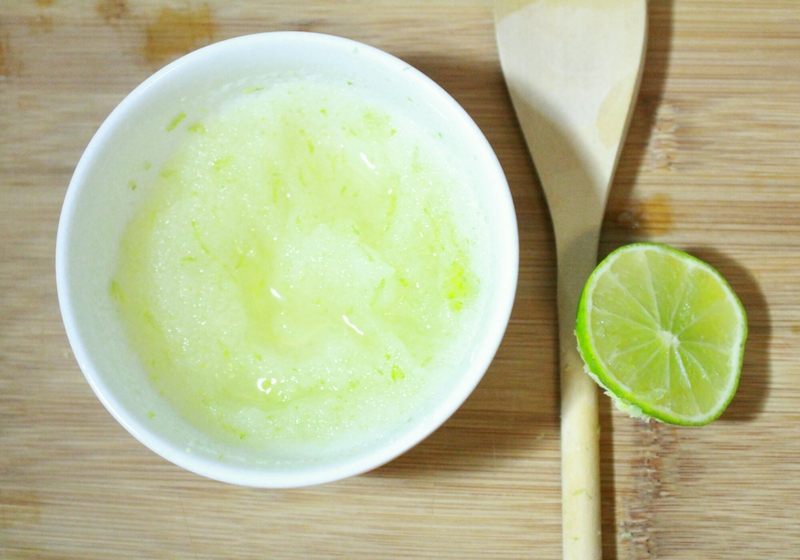 I hope you enjoyed this post and found a flavour you might like to try. Thanks for reading and have an awesome day. Hello It’s December 4th. Know what that means? 21 days until Christmas! Today is the 3rd DIY gift tutorial so let’s get started. Succulents are great plants because even plant killers like myself have a hard time finishing them off. I’ve had one for over 2 years now and it’s still going strong(somewhat). For this reason, you can be comfortable gifting a succulent to anyone. 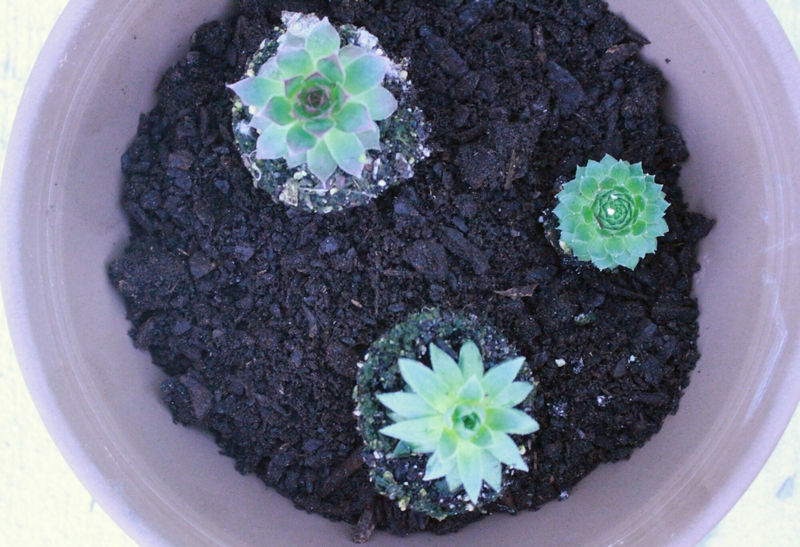 It’s perfectly fine to give one small succulent as a gift but I think having a cluster in a pot looks even nicer and that’s what I did here. 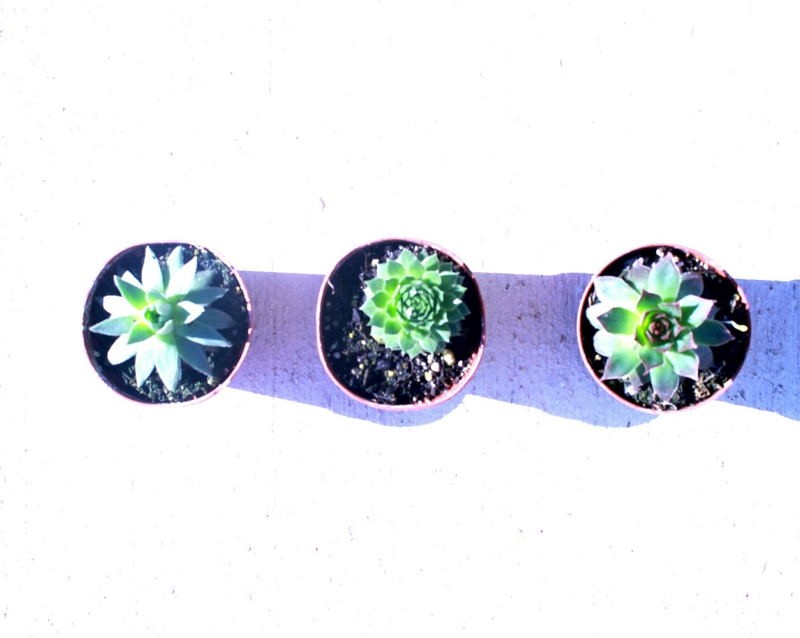 1) Succulents – at least 3 but you can use as many as you like. I also recommend getting different colours and shapes. I was only able to get these three which are pretty similar in colour and size but still quite varied. Disclaimer: I am NOT a gardening extraordinaire so you might find better potting instructions elsewhere. 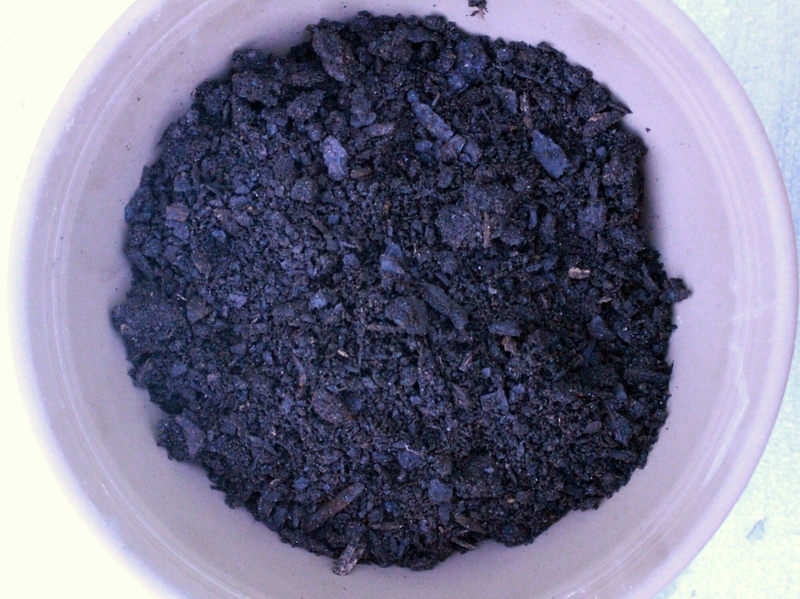 1) Place potting mix into pot. 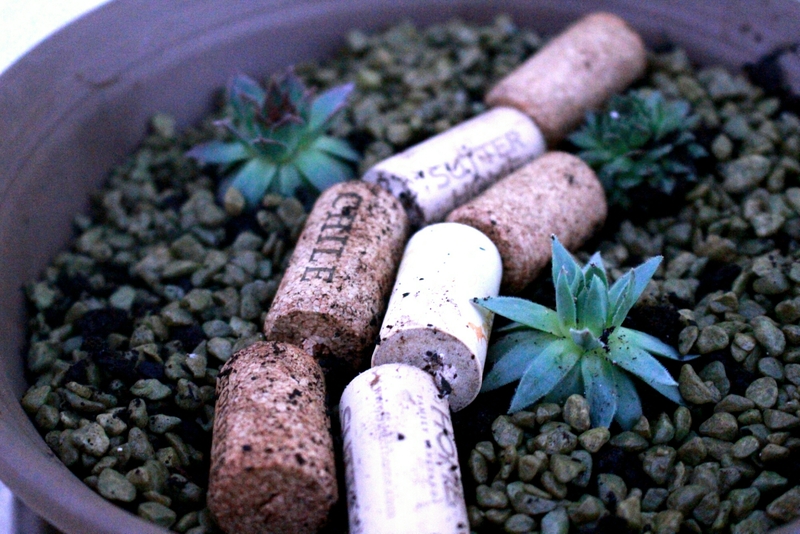 2) Remove succulents from their pots being sure to crumble away a bit of the soil and get the roots exposed. Place into pot and add more soil to cover up the roots. 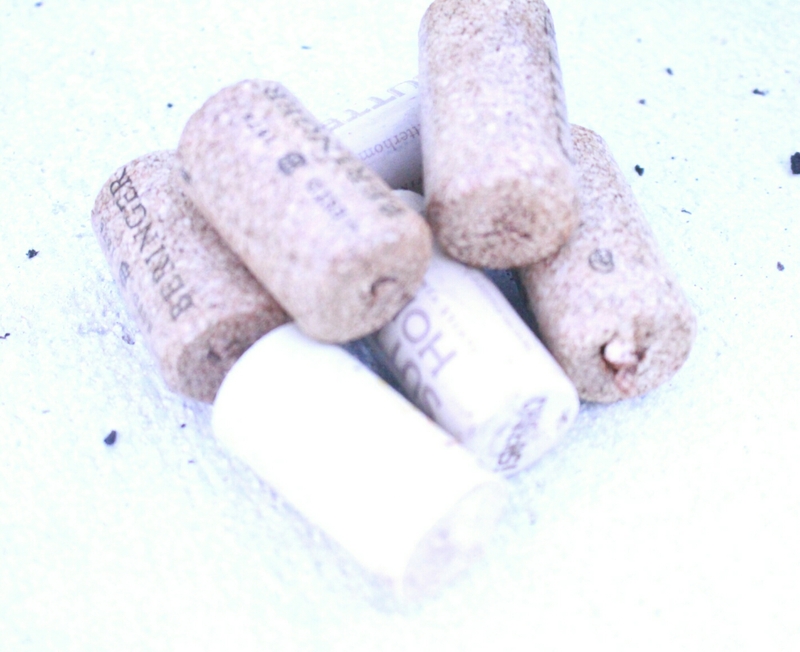 3) Place wine corks in design around the plants. 4) Fill in remaining space with gravel. 5) Add a tag and gift! This is a super easy DIY and it can be manifested so many different ways. 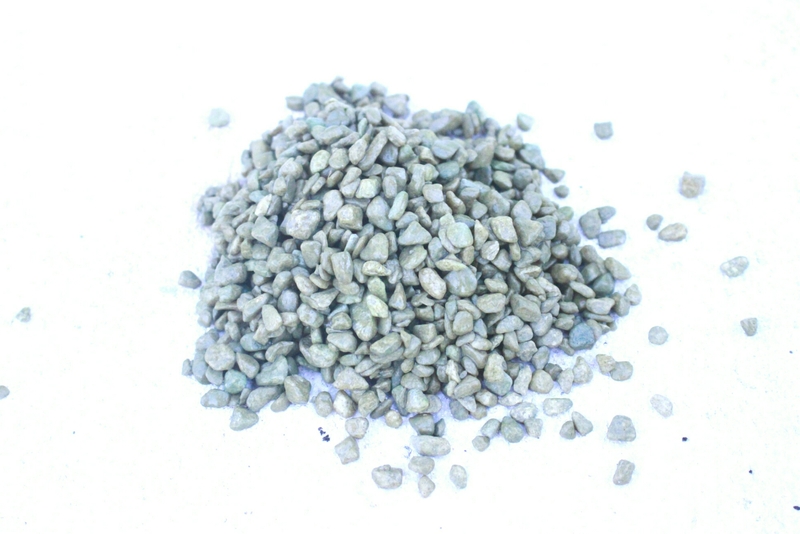 You can use multiple colours of gravel (my initial intention but I found none) and create different designs, you can also use coloured sand, weathered glass, woodchips etc. 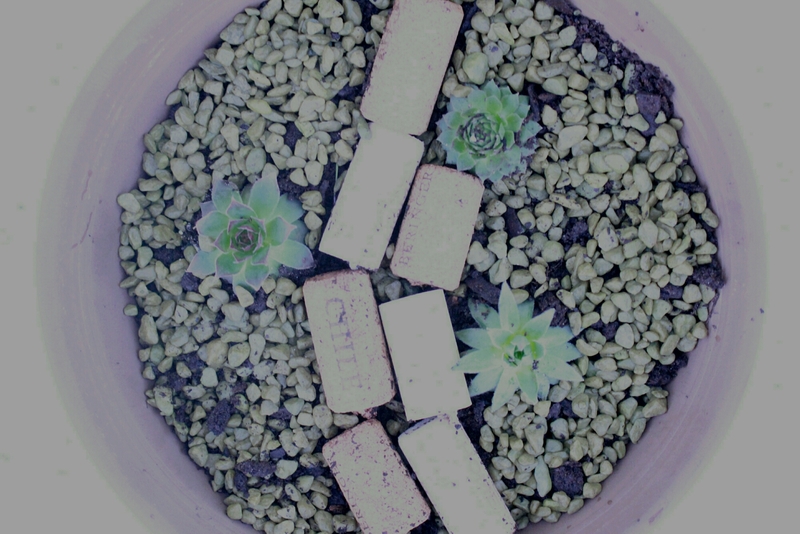 The cost of this type of project can vary quite a bit depending heavily on the number and type of succulents you select, the ones I used cost 2.99 US each but they can run you all the way up to $12 or $15. The other major determining factor is the pot. I bought this muddy coloured clay pot and saucer brand new and it cost me $10 US but you can use something you already own, plastic pots etc. The decorative items I already owned but garden gravel and sand are typically inexpensive . Regardless , this project is affordable . If you were to buy something similar from a garden store it would likely cost double or even triple what it costs you to make. This gift gives the recipient something to take care of but without too much responsibility (like a pet but WAY easier). Plants also always add organic decor to any space. I think this is an excellent one of a kind gift. See you tommorrow and have an awesome day !